Oregon's gardens, agricultural lands, natural areas and forests help support and maintain about 500 species of bees. The State of Oregon is maintaining these pollinator species vital to the food supply and the natural environment around us. A two day conference combined with one day of workshops designed to “connect-the-dots” between research, extension and practice. The Flagship Farm Program highlights the farms and nurseries who lead the way in protecting and fostering the bee species we all depend upon through a combination of practices such as maintaining and providing habitat, judicious use of pesticides, and supporting crops that provide floral resources for bees. The Atlas is a joint initiative of the Oregon Department of Agriculture and Oregon State University to identify the bee species in the state. Although we estimate there are 500 species of bees in Oregon, there has never been a concerted survey of the state’s bees. 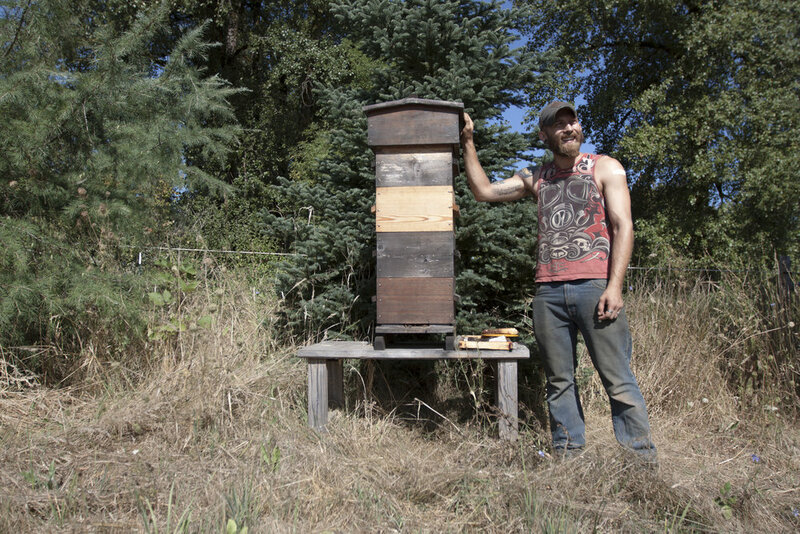 Oregonians care deeply about their bees! The state is home to farmers, land managers, landscapers, beekeepers, researchers, educators, and homeowners who lead the way in developing strategies to protect bees. Learn more about innovators near you. The Oregon Department of Agriculture (ODA) Pesticides Program, responds to all allegations of bee kills or die-off's alleged to be pesticide related. If you suspect bees have been poisoned by pesticides contact us.